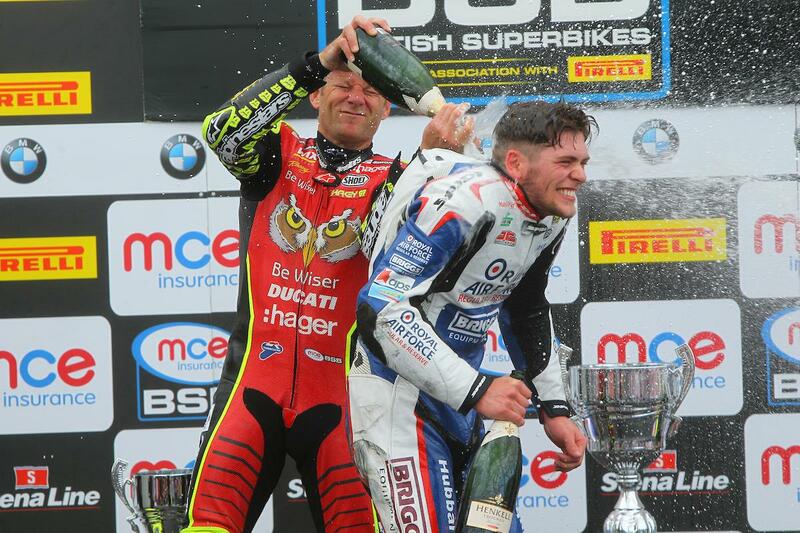 21-year-old Jake Dixon was lost for words after taking his debut MCE British Superbike victory at Knockhill yesterday. The RAF Regular and Reserves Kawasaki rider couldn’t believe he’d just led a British Superbike race from start to finish when he returned to parc ferme after taking his maiden victory in Sunday’s opening race. He’d then go on to further impress by doubling up on the victory with another astounding performance as he fought in a race-long battle with fellow young gun Luke Mossey and the more experienced Shane Byrne and James Ellison. The double comes in Dixon’s first full-time season in the Superbike class. He moved up with the RAF Reserves BMW team half way through last season, but would go on to miss most of the year with a broken hip sustained at Oulton Park in September. For more on Dixon’s dream double, pick up Wednesday’s MCN.